- Bring products to life: Go beyond the CAD monitor and give real scale and spatial context to a design as well as the ability to walk around or within a product. - Real-world context: Seeing a product on a screen is one thing, but being able to drop a product like a piece of furniture into your living room to see how it looks with the rest of your décor is way better! - Collaboration: Utilizing a room-sized cave automatic virtual environment (CAVE) VR system, which uses high-resolution, stereoscopic projection and 3D computer graphics to create an entire sense of presence in the virtual environment, allows multiple users to become fully immersed in the same virtual experience simultaneously. So why the slow adoption of VR for industries like AEC, manufacturing and product design? One big reason is that a lot of the tools and development platforms out there are more geared towards gaming. It’s hard to use VR effectively if you can’t find VR applications and hardware that fit your workflows. A recent announcement from WorldViz, however, may mean more VR solutions for industries like product design will be coming. WorldViz just announced the latest version of its Python-based VR development platform. This new release, Vizard 6, was developed around three main areas: a new third-party VR headset and peripheral support, an easier art workflow that provides support for the glTF 3D model format, and more extensive avatar support using Adobe Fuse CC. WorldViz states that Vizard appeals to the R&D community, both in university and business settings, because of its robust development environment for scientific-grade VR. It gives users the ability to build precise immersive experiences that can connect via VR headsets; CAVEs and Powerwalls; head/hand trackers and motion capture systems; and specialty devices such as eye trackers, haptic feedback devices, and biophysiological sensors like EEGs, EKGs and GSRs. With Vizard, users don’t need to be computer programming wizards to start developing, thanks to the Python interface, which is open, straightforward and user friendly. As for hardware, Vizard 6 now supports all Windows Mixed Reality headsets as well as other new peripherals, including the Manus VR Gloves and Tobii eye-tracking hardware. That’s in addition to the 150+ peripherals, trackers, biofeedback monitors and display types Vizard already supports. Vizard also addresses graphics in this latest release, and now supports the gITF 3D file format, which helps with rendering. The software also allows for more user-friendly workflow interfaces with Revit, SOLIDWORKS, Maya, Blender, SketchUp, Substance Painter, Modo, and more. 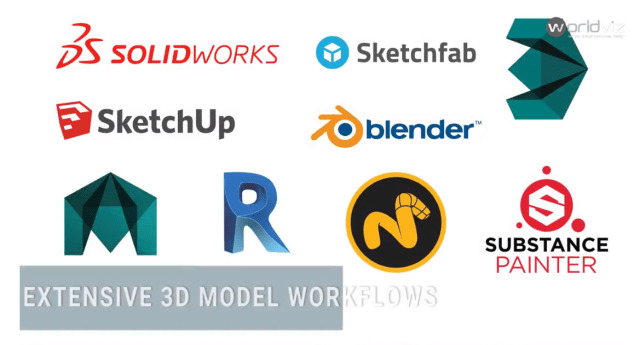 It also provides access to over 150,000 models in Sketchfab’s library. Being stuck with only redefined avatars is also a thing of the past with Vizard 6. Avatars created in Adobe Fuse CC are now supported, enabling users to create custom avatars that can then be imported into Vizard. 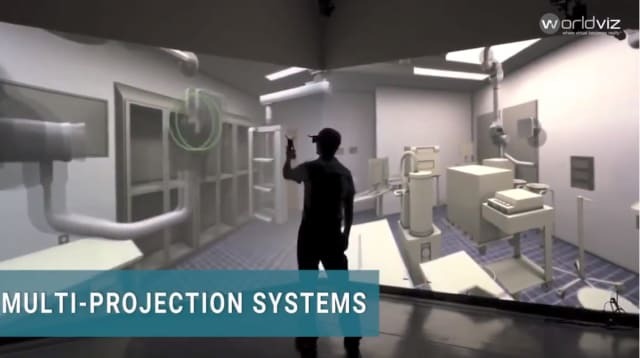 Working in the design field myself, I’m very excited about the prospect of more VR applications for industries like AEC, manufacturing and product design. For more information, please visit www.worldviz.com or contact WorldViz today.